Lately, I have been baking bread first thing in the wee light hours of the morning. Nothing too amazing, just a plain jane white bread, but the aroma…ahhh, the sweet smell of the bread baking gets me every time. I love when my house magically transforms into a bakery. These sweet loafs have been wrapped neatly and sent away as holiday gifts this year but not without including a special, deliciously scrumptious, compound butter. YUM! They are partners and besties – bread and butter. Now, compound butters are by far the EASIEST to make but the special touch and simplicity goes a long way. Make any ordinary bread, extraordinary. 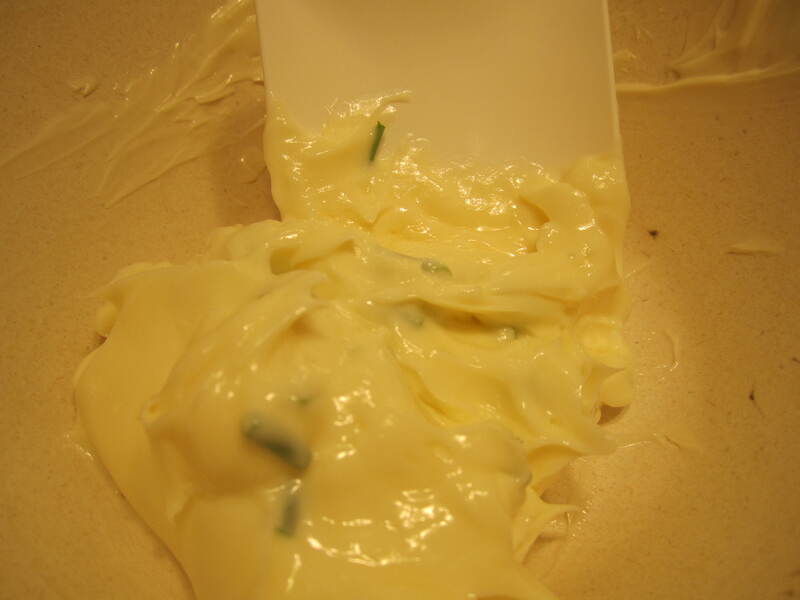 Last night, I used chives to make , you guessed it, a Chive Butter Compound. You can add anything you want to your butter and more. Keep going, it’s not just for bread! Take a slice of butter and rub-a-dub all over your chicken and then bake your chicken or you can even add it to your fish! Compound butters are quite versatile and extremely delicious – experiment! Are you ready to dive in? First, let’s get the ingredients, ready? 3. Now stir baby stir. 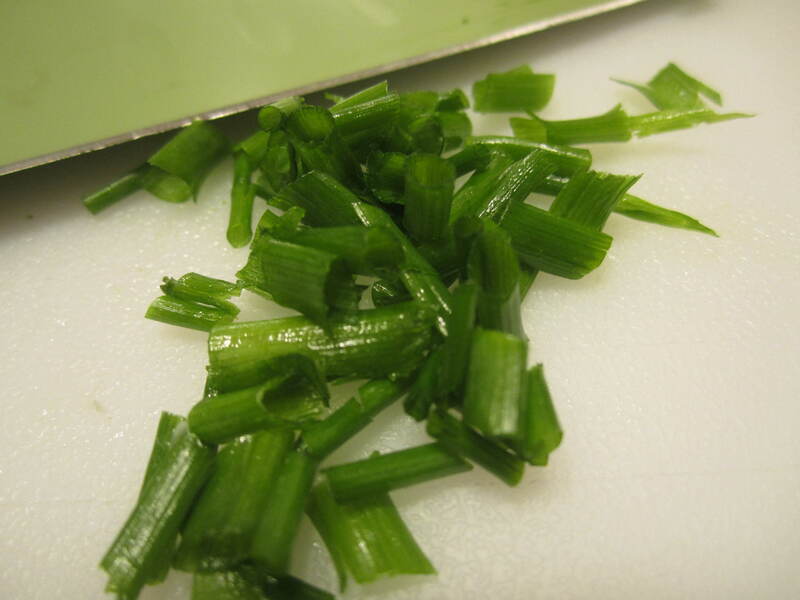 Gently combine those beautiful chives with the butter! 4. Roll out about a foot of syran wrap and place butter in the center. 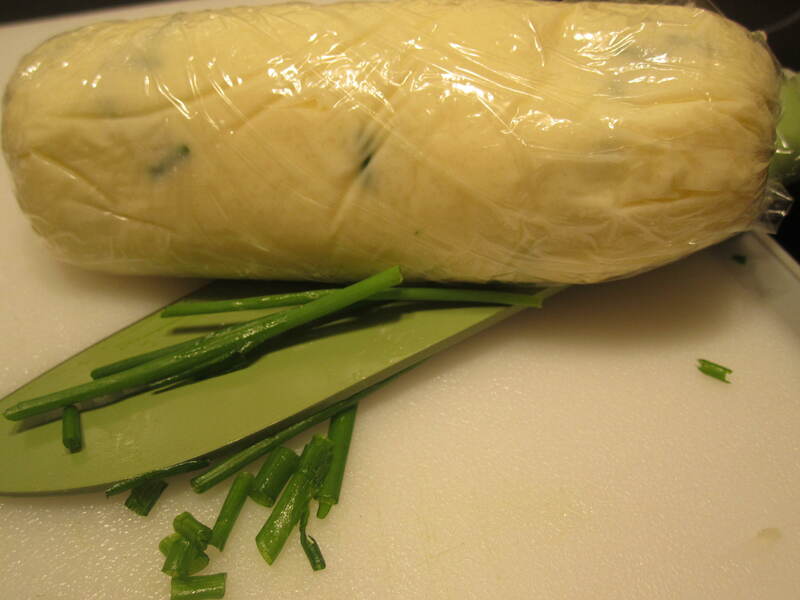 Wrap the butter into a cylinder and twist the sides and/or place the sides into knots. 5. Place in refrigerator for at least thirty minutes. Butter is good for several days. For even another version of this delicious butter, try adding 1 small clove of garlic, minced into the mixture. It’s a great way to add even more bold flavor!